Joseph C. Rome completed his undergraduate education at Washington State University, earning a Bachelor of Arts degree in 1999. He received his Juris Doctorate degree from Western New England College School of Law in 2005. Since graduating from law school in 2005, he has become a Member of both the Washington State and Hawaii State Bar. 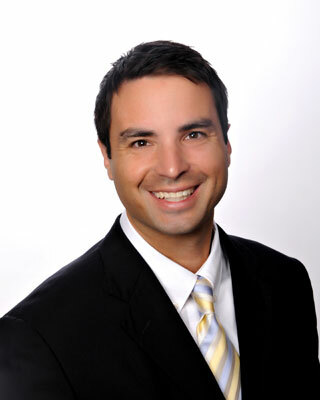 Attorney Rome moved to Maui in 2006, and worked at the Hawaii State Public Defender’s Office where he acquired a broad base of legal knowledge and hands on experience. In 2009 he opened his own practice with a primary focus on helping clients with DUI offenses, serious crimes and injuries. Attorney Rome is a Washington Criminal Lawyer who has proven experience and is highly qualified representing clients with DUI offenses or serious crimes and injuries throughout the state of Washington. Mr. Rome is a member of the National College for DUI Defense, Washington Association of Criminal Defense Lawyers and The National Association of Criminal Defense Lawyers. He has been both certified to administer the Standardized Field Sobriety Tests (SFSTs) and has received advance training in the SFST to become a certified instructor in the SFSTs. Attorney Rome recently traveled to California where he assisted in the instruction of attorneys attempting to be certified in the SFSTs. He is one of the few attorneys who has demonstrated knowledge of the science and forensic use of roadside sobriety testing and intoxication far beyond the scope of the National Highway Traffic and Safety Administration (NHTSA) training by becoming Forensic Sobriety Assessment (FSA) Certified. In 2011 he was selected to study at the prestigious Trial Lawyer College with Gerry Spence, one of the nation’s Top Trial Lawyers who has never lost a criminal case either as a prosecutor or a defense attorney. Attorney Rome, is known for his aggressive and highly successful representation of those accused of DUI offenses and serious felonies. We serve clients with DUI offenses, criminal cases and personal injury cases in Seattle, Bellevue, Shoreline, Lynnwood, Everett, Kirkland, Redmond, Bothell, Sammamish, Kingsgate, Woodinville, Monroe, King County and all of Washington State. If you have a legal matter and are in need of a top DUI lawyer in Washington or a criminal defense attorney contact our office today for a free and confidential consultation at (425) 429-1729.